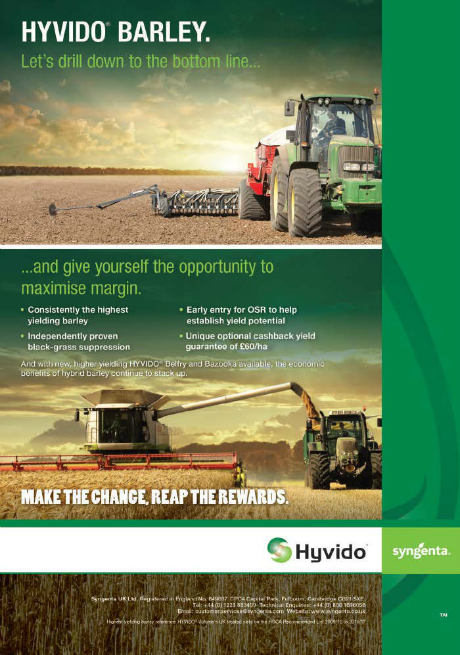 SY KINGSBARN is the latest hybrid barley to join the HYVIDO family. It combines top class yield with improved quality and agronomic profile. SY KINGSBARN performs well in all regions and is good to use in black-grass situations. We've compared KINGSBARN and KWS Orwell on the AHDB Recommended List 2019 and shared some key statistics we think you'll be interested in. Download the variety sheet for some more in depth information you can carry with you everywhere.